A monk and a scholar generally recognized as the keenest philosophical and theological mind of his time, Anselm, abbot of Bec, found himself forcibly and unwillingly invested as Archbishop of Canterbury on 6 March 1093. 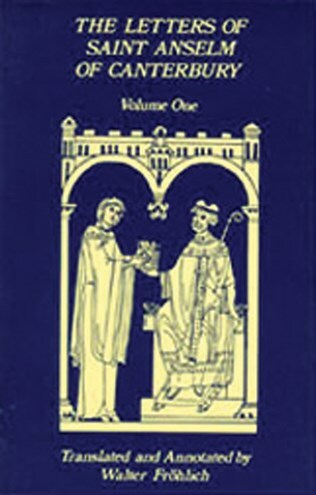 It was the first of many sharp differences between the Norman King and an archbishop who considered the reform of the church and the improvement of the moral conduct of the kingdom his prime tasks. Among his chief weapons in fighting to establish the Gregorian Reform in his new land was the letter. Whether reporting events or asking for news, proffering advice or wheeding favors, currying friends or placating adversaries, Anselm kept up a steady correspondence throughout his sixteen-year archiepiscopate. Collections of these letters circulated during his lifetime, establishing his postion on any number of topics. Now translated into English for the first time, The Letters of Saint Anselm give new insights into the life and mind of this pivotal figure in european history.